Got an event that you'd like us to attend, or want to talk to us but can't make it to one of these? Just get in touch, and we'll set something up! What is Specifi? Specifi is a networking event where specifiers can spend time to discuss projects, products and professional development with technical experts from across the built environment brands. Want to find out more? Please visit the Specifi website. What is the Installer Show? Installer Show 2019 is a must-visit event for heating and plumbing engineers from across the UK. Showcasing everything from boilers to showers, an Installer event offers insight and expertise to everyone – as well as a huge selection of giveaways, special show offers and interactive games and challenges that will test knowledge, ability and skill. Visit us at stand A100 and learn about our renewable BioLPG fuel. Want to find out more? Please visit the Installer Show 2019 website. What is the All Energy Show? All-Energy is the UK’s leading renewable energy event, showcasing the latest technologies and services for the energy supply chain and both private and public sector energy end users, developers and investors. All-Energy generates invaluable connections between 7,000 buyers and 350 renewable solution suppliers. What is the Rural Housing Week Conference? Rural Housing week spotlights successful developments that offer a lifeline to local people in our market towns and villages and reinforces the message that housing is vital for the survival of rural communities and services. The week aims highlight the positive impact housing associations make. Calor are taking part in the rural Housing Week Conference on 3rd July 2019. Join us to hear from rural housing leaders, key stakeholders and politicians, and debate the key challenges facing rural communities. Visit the Calor stand to learn how LPG presents a cost-effective build option for rural off-grid developments. What is the UK AD & World Biogas Expo? The largest trade show solely dedicated to Anaerobic Digestion and Biogas. Want to find out more? Please visit the UK AD and Biogas Expo website. We haven't got anything planned, as yet, for this month. But please do check back for new listings. What is IMHX? IMHX is the place to see the latest technology from the logistic industry’s leading names, meet new and existing suppliers, and stay one step ahead of the competition! Want to find out more? Please visit the IMHX website. What is HVAC? HVAC 2018 is the UK's leading heating, ventilation and air-conditioning event – bringing together installers, engineers, contractors, specifiers and architects. Want to find out more? Please visit the HVAC website. What is Freight in the City? As cities strive to improve air quality through the rollout of clean air zones, freight operators must step up to the low-emission challenge or face the prospect of significant fines to enter urban areas. 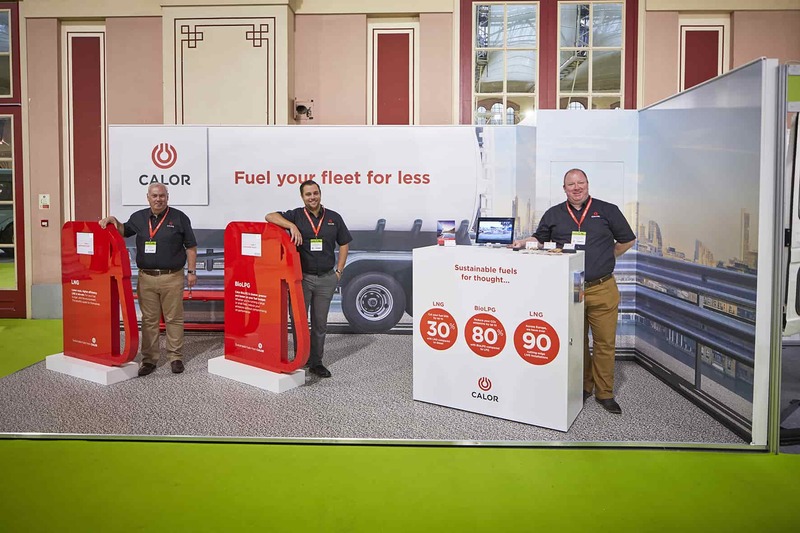 The Freight in the City Expo looks to support freight operators through this process with a comprehensive seminar programme proudly sponsored by Calor. Come and see us and find out all your need to know about sustainable fuels. Want to find out more? Please visit the Freight in the City website.